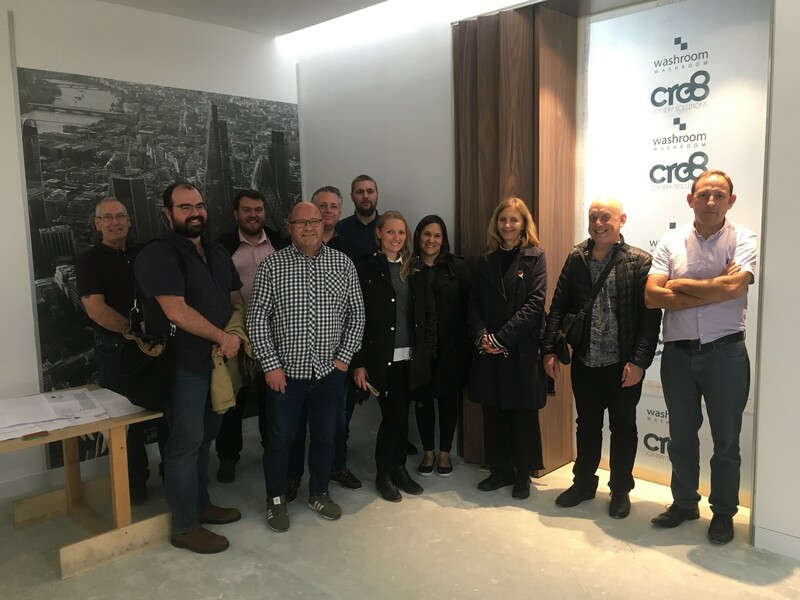 We recently hosted the architectural and build teams working on the construction of one of London’s newest skyscrapers to our Essex factory to view the mock-up lift linings we’ve created specifically for the project. We’re working with the team from London-based PLP Architecture, who are leading the design of the striking new building at 22 Bishopsgate, along with the project’s main contractor Multiplex and interior fit-out company SJ Eastern. As part of the project, we’ll be manufacturing and installing 384 bespoke feature front of house executive lift linings – eight for each of the 48 floors of the new building. 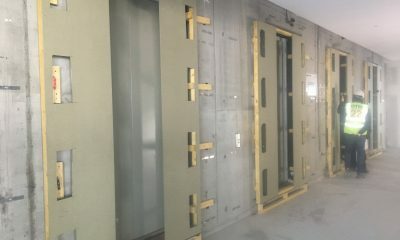 Following the initial planning and design phase, we created a series of full sized mock-ups of the lift linings to the exact specification and finish required. Manufactured using crown cut fire-rated Walnut, the striking new fluted architraves frame the brushed stainless steel linings, mirroring the high specification interior of the rest of the building. We like to involve our clients as much as possible from design to installation so inviting the team to view the mock-ups is a vital part of the process, especially on such a large-scale project. Seeing the lift linings full size and in the exact finish helped the team fully visualise how they’ll look in the context of the building. 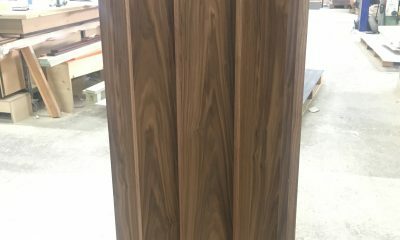 The team was pleased with the mock ups overall and thought the colour was really “warm and interesting” so it was a positive visit all round! Now the design has been signed off, the lift linings will go into production shortly and installation will start on site before Christmas, with completion scheduled for September 2019.